“Alex, My thanks for the buy/sell transaction on my 190. (now your 190). This had to be the easiest way ever to sell a classic car. The check cleared, the car was scheduled and I have sent the forms to Allison (great lady BTW). The title will go out on Monday when I get to Florida. Within 24 hours the truck came and we managed to roll a lovely 500SL down the driveway to the tow truck. It could have been a very sad farewell. It was my husband’s dream car – his “Nureyev” car – the Russian dancer had one – and we both loved ballet. Your driver was so nice and MOST ESPECIALLY very professional. Working with Alex and his fantastic staff was a pleasure. This transaction could not have gone any better. 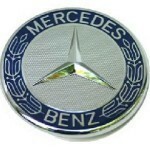 “I recently sold my 1971 Mercedes-Benz 280 SE 3.5 Cabriolet to Alex Manos. From the beginning of our negotiations Alex was forthright and honest. I was very pleased with the price that we eventually agreed upon. Having done my research I realized that this was a more than fair market value. Alex immediately booked a flight and arrived on my doorstep early the following day. Talk about prompt service! Alex was kind, courteous and professional. I immediately felt at ease. This meant a lot since I had been going through some very difficult life challenges.